There are four types of members of the International Apparel Federation. National Trade Associations are full members of the IAF. Companies whose core business is manufacturing and or marketing apparel products are corporate members which enjoy full member status. Companies who sell products or services to apparel manufacturers and marketers may join the IAF as associate members. Associate members have the right to vote but restrictions apply to their electability. The IAF also welcomes universities and training institutes as education members. National Trade Associations have formed historically the backbone of the International Apparel Federation. These associations represent apparel manufacturers in their respective countries. Today the IAF is represented, through trade associations, in approximately 60 countries worldwide. The IAF also welcomes individual companies, whose core business involves the design, marketing and/or manufacturing of apparel products, as corporate members. The representatives of corporate members have full voting rights and may be elected to serve as IAF officers. 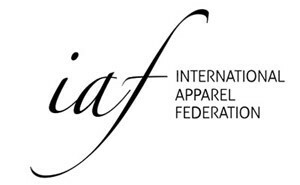 Companies who provide products and/or services to the apparel supply chain are welcome to join the IAF as associate members. Associate members have the right to vote and may be elected as Board Members. Two seats on the Executive Committee are reserved for representatives associate members who, however, may not be elected to the position of IAF President. True to its commitment to education the IAF allows access to universities and training institutions who may join as education members at a very low annual fee. Education members may work in the IAF education committee and participate in the annual IAF student award.